Attending one of JC's Salon Series, makes me feel like I'm in Paris in the 20s, drinking Pastis and discussing art and politics. The food, the art, and the conversation are always riveting. In addition to fostering discussions about art, JC is serious artist in his own right. His creative process is intriguing too...I think I might try it on for size. I have to have a solid three-hour block to get anything done. Or so I think. That includes sheaves of minutes puttering around, lunching, perhaps napping, cleaning up. In between are intense bouts of work. The more consistently I can work, the shorter the work-window can get to the point where I may stop in for 30 minutes, paint and run away. Painting, like writing, is an intensely stressful, laborious and boring process. To paraphrase the writers, it's more fulfilling to have painted than to paint. To distract myself I usually put one song on repeat and listen to it through studio-quality headphones. The result is a kind of forced Zen—my rock/pop Ohm—that helps strip away the intellectual grime of the day relating to anything not in the immediate studio. It can be exhausting, so I keep a supply of Tecate in the fridge. I also run as much as possible. Running forces you out of your head to focus on your physical body—on yourself as a bio-mechanical thing—and to ration your energy. Since stress and distraction and frustration take energy, running helps me dissolve those things and de-prioritize them. My goal while running, as in painting, is to achieve a state of graceful awareness, thinking of nothing except continuing until done. To quote the King of Hearts from Alice in Wonderland, "Begin at the beginning ... and go on till you come to the end: then stop." I try to translate that into my practice when I'm painting, to carry forward that focus until I stumble into completion, then contain it. I guess the thread here is conditioning. The more I work on these things, the more efficient and effective is my time doing them. It's usually at this point that life conspires to un-condition me with work deadlines, shin splits, what-have-you. So it goes. JC is curious to know how Thomas Jefferson got it all done. And he wouldn't mind being in the room during a John Singer Sargent portrait session. 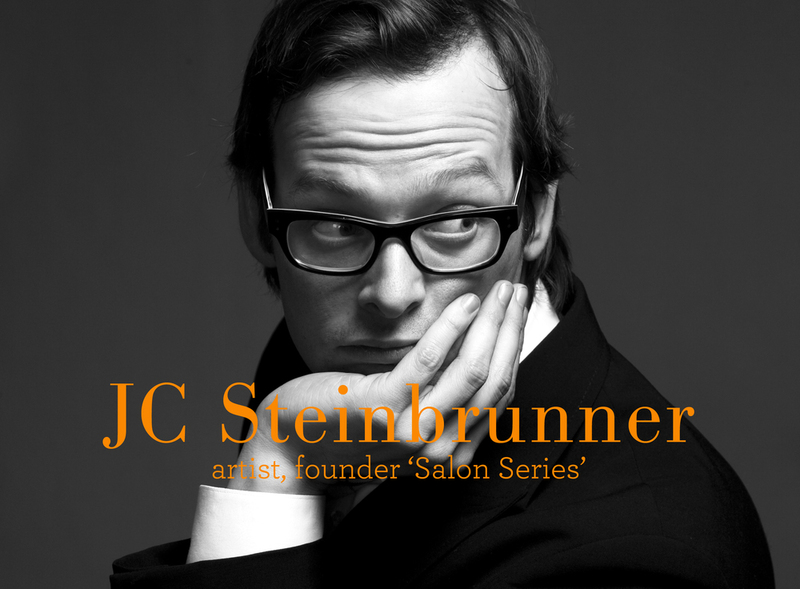 You can see more of JC's art here http://jcsteinbrunner.com and find out more about the Salon Series here.